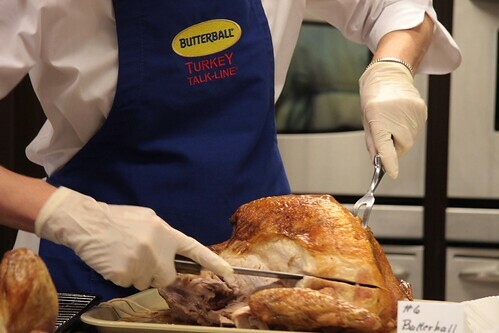 As many of you may know I went to Butterball University and was glazed in turkey wisdom. All I learned and all you should know is yonder…at the Butterball Blog. Here’s the thing. (And I’m not saying this because they paid me to.) The turkey talk line is like real life google for turkeys only you get one answer and it’s the right one. Having a panic attack about your turkey? 1-800-BUTTERBALL. Seriously. Even I’m going to be calling to make sure I’ve got things right. 165 degrees in the stuffing. 180 degrees in the thigh. Chant it if you have to. About my first Thanksgiving…it won’t be spent in my new house. Boo. BUT! It will not be spent in a hotel. It will be spent with friends. And my little family. And no matter how my turkey turns out? I am most thankful for them. please give me a reason to speak turkey.